For centuries garlic has been revered as a plant with medicinal properties. During this past 20 years these beliefs have been reinforced by exciting evidence documenting that garlic and its allyl sulfur components can alter a host of physiological processes that potentially foster health (Fenwick and Hanley, 1985b, Milner, 1996, Orekhov and Grunwald, 1997). Garlic’s ability to reduce hyperlipidemia, hypertension, sterol synthesis and thrombus formation make it a strong candidate for lowering the risk of heart disease and stroke (Gebhardt, 1993, Orekhov and Grunwald, 1997, Abramovitz et al., 1999). In addition to antimicrobial properties (Adetumbi and Lau, 1983, Yoshida et al., 1999, Cellini et al., 1996, Dion et al., 1997), considerable evidence points to the ability of garlic and related components to serve as protectors of immunocompetence (Jeong and Lee, 1998, Morioka et al., 1993) and possibly mental function (Nishiyama et al., 1997). Garlic is a plant within the genus Allium. It along with onions, leeks and chives represent the major allium foods that are consumed by human beings. 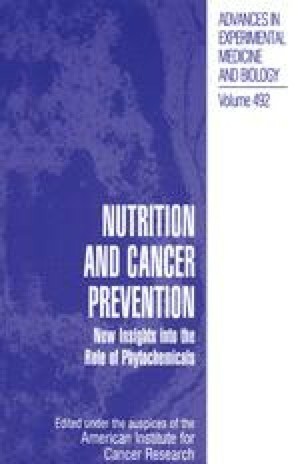 While it is possible that other allium foods possess similar health attributes, including a reduction in cancer risk, few comparative studies have been undertaken.